Place eggs in small saucepan; cover with cold water. Bring to a boil. Reduce heat; simmer about 15 minutes. Immediately drain; run cold water over eggs to stop cooking. Peel eggs; coarsely chop. Meanwhile, cook macaroni to desired doneness as directed on package, adding broccoli during last 5 minutes of cooking time. Drain; rinse with cold water to cool. Drain well. 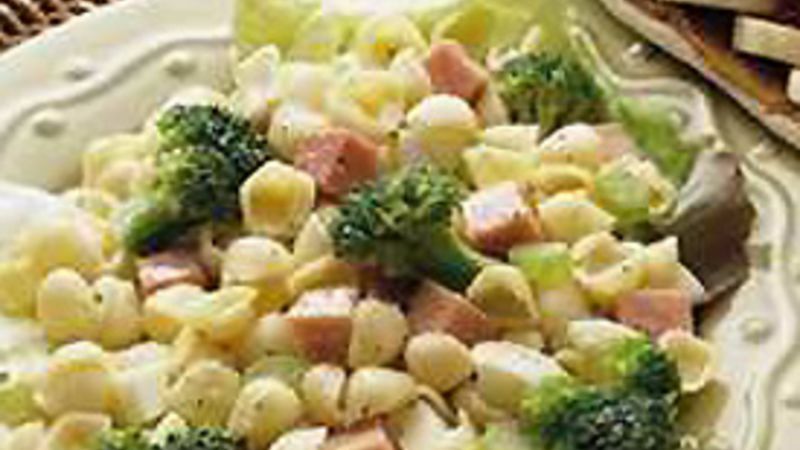 In large bowl, combine eggs, cooked macaroni, broccoli and all remaining ingredients; mix well. Refrigerate at least 1 hour before serving.